Although it’s been really hard to prioritize it, I know it’s a huge investment to be by myself every now and then and I also know that I’m not alone in this. If we take the pulse on the way many of us live today we’ll notice our manic Fear Of Missing Out. Masked (even for ourselves I think) behind our various passions and how we go about exploring them on the outside instead of the inside, a need for social overwhelmnent and a serious obsession to fill the calendar. A full calendar seems to equal to a happy, successful and fulfilled person. Is that really the truth? What I know for me to be true is that I am a better and definitely way more inspired version of myself when I get a chunk of time to spend doing ”unnecessary” things. Like last night when for a few hours I borrowed my uncles house who was off working. 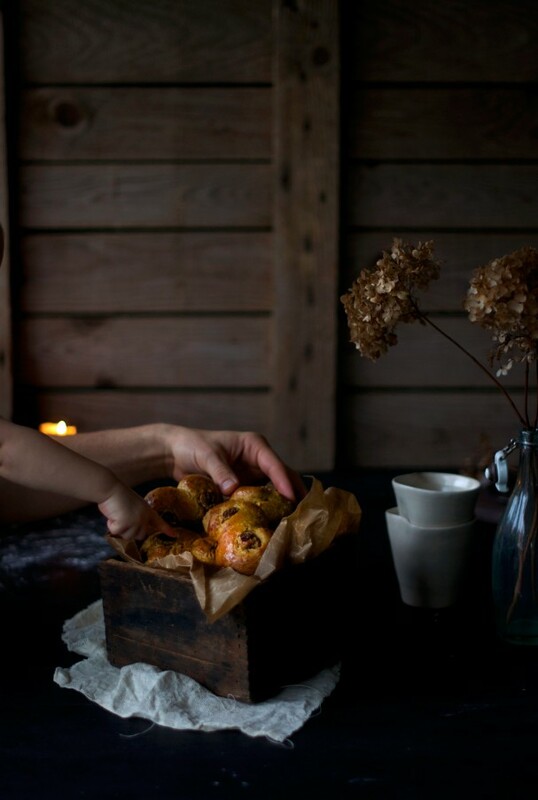 I went for a little walk in a Christmas lit Ystad, took a warm magnesium bath, put on the kettle and oven to reheat two of these Swedish Saffron Buns before curling up on the sofa to watch a random episode of Friends and then loosing myself in a new Kloka Hem Magazine. On the ride back home I listened to Fabians Tony Robbins tapes in the car and then before I went to sleep I even outlined what I would like my first book to look like(!) ..and drew the front cover. Yeah. Nothing like some good ol’ manifestation eh?! Anyway, in my books that’s a pretty awesome evening. An evening with space. Space to stop and listen because I think we can all agree on the fact that when we connect with stillness, that’s when we receive the sparks of genius, true rest and the very fulfilling conversations with our inner GPS that we need. Synchronous events get more obvious and it’s be easier to navigate with Our Truth as a guide. Pressing pause on the Fear Of Missing Out and instead entering the realm of Joy Of Missing Out is doing ourselves a massive favor. You won’t miss the Facebook comments on this or that post and the event that you’ve already been on three times before. Space, taking breathes, staring into space or even flickering through an inspiring magazine may instead let us more easily dive into those higher lesson + plans for us. Don’t worry, they are uniquely designed, you outlined them! My heart really is all over the place, especially since becoming a mother but when I give my-self the VIP ticket to my time, that’s when the cool things start happening in all other aspects too. And during wintertime Vitamin D helps too. And saffron. Please tell me I’m not the only one craving sunshine like it’s crack at the moment? (not that I’ve ever craved crack but you know what I mean). 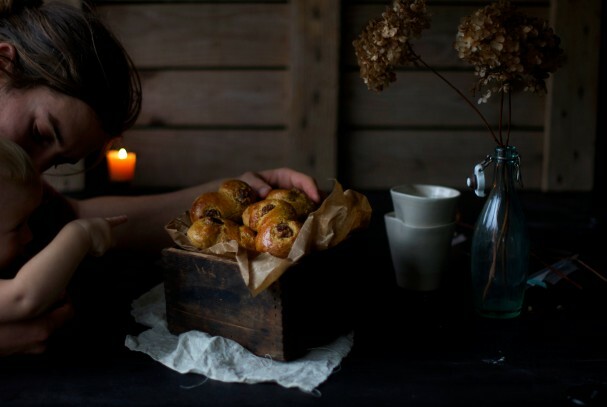 Well here’s an idea for your alone-time: Bake saffron buns! If you live in the northern hemisphere you’ll notice how something happens to your brain when you bite into that warm, golden bun. What and why? Guys, it’s totally like eating sunshine! 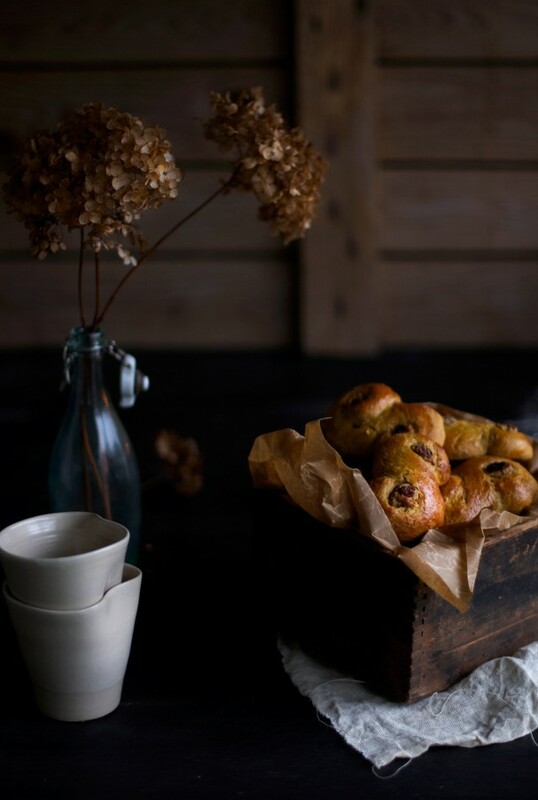 And there we have the reason as to why these sunshiny buns are traditionally eaten on St Lucia Day on the 13th of December which is when our days slowly but steadily grow longer again. Guh, thank goodness that is just around the corner. As far as sunshine goes I’m not only relying on the color of saffron to fill my need for light, I’m also taking my Vitamin D supplements every other day to make sure I stay on top and help my body as much as I can. Because believe it or not, there are some factors of health that isn’t directly related to our diet. So, Vitamin D, what’s the deal? What is Vitamin D? Vitamin D is a fat-souleble hormone that can be produced by the cholesterol in our skin when exposed to direct sunlight. What does it do? By helping to regulate our immune system, Vitamin D boosts our immune system, it supports healthy digestion (Vitamin D receptor sites are found all the way through the digestive tract!) and assists in good bone health and proper calcium absorption. What’s more uncommonly discussed is the role this vitamin plays in our metabolism. Thyroid hormones are responsible for getting the energy and oxygen into our cells during the last part of the metabolic process but without sufficient Vitamin D present, thyroid hormones are unable to work properly. This is also why Vitamin D deficiency is now being linked to trigger thyroid diseases. Where can we get it? For proper calcium absorption (which is as mentioned above linked to good Vitamin D levels) we need 20% of our skin to be exposed to sunlight for thirty minutes daily. I don’t know about you but where I live that’s not even a possibility, I actually haven’t even seen the sun for over a week. The interesting thing is that people who get adequate amount of sun exposure are still showing up with blood test results too low in Vitamin D. We do not have all the answers to why there is a deficiency epidemic. A major part of it is of course how drastically our lifestyles have changed. From both working and practically living outdoors, to cubicles, huge cities and electronic indoors entertainment for all ages. Some people are lucky if they even get 10 minutes of fresh air daily. How crazy is that?! What are the consequences of inadequate Vitamin D? Studies show that adequate Vitamin D will make cancer cells unable to grow and divide as they loose their version of good blood supply. Bones can get weak and brittle and many people with deficiancy report overall issues with pain. Inflammatory diseases (for example arthritis and IBS) are less common in people with good levels of Vitamin D. This often discussed hidden inflammation of our body which is triggered by so much in our lives raging from the crazy processed (non-) foods we eat, like sugar, alcohol and most dairy, meat and wheat to toxins in our homes, air and water. If there is anything that helps combating inflammation, I know I’m game in upping my levels of that. Solution/ How to supplement? A simple blood-test will show if you are in need of extra Vitamin D or not but most of us could really use a boost. Personally I take one capsule of 5000IU D3 every other day year round and that’s working well for me. I notice a huge difference if I forget it for a week or more, especially during wintertime. D3 is the biologically active form of Vitamin D and D2 has unfortunately been shown to have lower bioactvity and poorer stability. Very much worth noting however is that most Vitamin D3 supplements are not vegan as lanolin from wool is used to produce it. A high quality non vegan Vitamin D3 is made by Garden Of Life and a high quality vegan D3 is made by Vitashine. A very cool thing to mention is that mushrooms have actually been found to be able to increase their levels of Vitamin D when exposed to sun (even when harvested). This phenomena is being investigated more at the moment and I sure am keeping my eye on it. Nature is so clever. Not your usual all-white flour, ridiculously sweet saffron bun. These babes are juicier and keeps soft and moist much longer than and the regular ones, plus the addition of fresh almond caramel makes them oh so drool worthy. Sweetened with natural sugars (in this case date syrup) but you can choose your own preferred liquid sweetener and if you wish, pair it with some additional drops/green powdered stevia if you want them leaning a bit more to the really sweet side. 1. Add almonds, salt and pitted dates to a food processor and blend into a smooth dough. 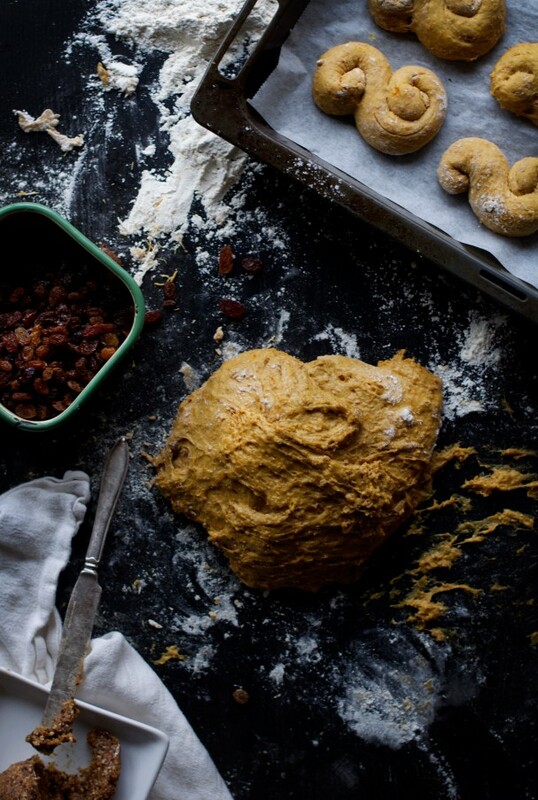 Wrap and refrigerate while making the dough for the saffron buns. 1. In a saucepan over medium heat combine all ingredients for the wet mix listed above (exept the yeast/sourdough and the plant milk for brushing). When mixture reaches body temperature (check with a clean finger) remove from heat and add the saffron starter and the sourdough starter or yeast, depending on what your using. Stir until both coconut sugar and yeast is fully dissolved. Add this wet mixture to a rather large ceramic or stainless steel mixing bowl. 1. Add flour a little at a time to the mixing bowl of wet ingredients. Combine with a wooden spoon and when all flour is added, start working the dough a bit more intensely using the same spoon for about 5 minutes. Note that this dough is not supposed to be knead with your hands. Cover with a clean tea towel and let rise in a calm space with steady temperature (not by a window!) for 2 hours. 3. Transfer dough to a lightly floured surface suitable for baking and divide into roughly 17 pieces. Cover your hands with flour and roll each piece into a string and shape as you wish. The traditional shape is shown in these pictures. 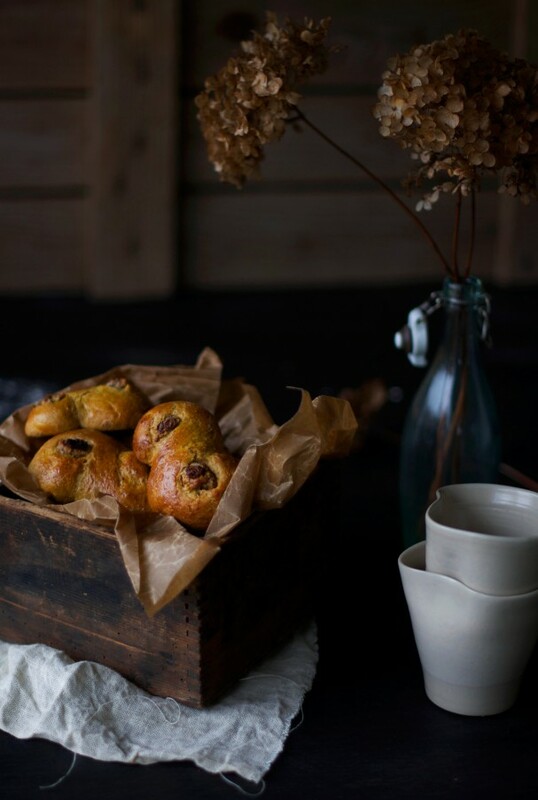 Place buns on lined baking sheets and cover with clean tea towel for 10 minutes. 4. Brush buns lightly with the plant milk (non vegans can use egg yolk from pastured eggs to brush buns with). Add two little pieces of almond caramel (recipe above) and raisins to each bun and bake for 13-15 minutes or until golden. 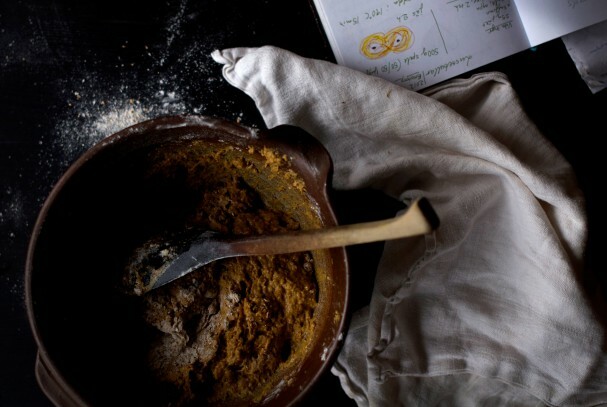 Serve straight out of the oven with some herbal chai tea or warm plant milk with cinnamon and enjoy. What are you doing to step away from the Fear Of Missing Out? What gloriously unnecessary things are you giving yourself? Let us know and spread your awesome inspiration in the comments below! Ps. 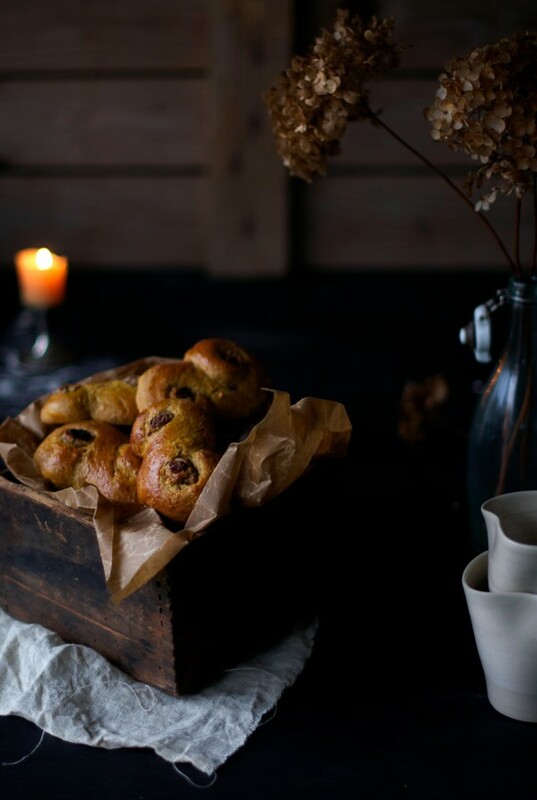 These Saffron Buns will make the alone time ride a thousand times radder.